Being in Sydney yesterday, I hopped on a train to Town Hall Station and walked to Galleries Victoria to visit the biggest bookshop in Sydney; Books Kinokuniya. This plac is massive. Looking out through a window, one sees what seems to be another bookshop a hundred metres away across the gallery, only to find it is more of the same one. Books Kinokuniya has vast departments for categories of books lucky to merit a quarter shelf in most shops. There are catalogue kiosks scattered throughout, and also Help Desks. These can be necessary as the kiosks tell you how many copies of a book are stocked, and in which department, but not their position on the multiple shelves. For example, having gone through about ten shelves of picturebooks (and that's spine-outwards, with just two or three copies maximum of each), a Help Desk person walked to the Character Books shelves. Evidently Books Kinokuniya calls Australian picture books "character books". 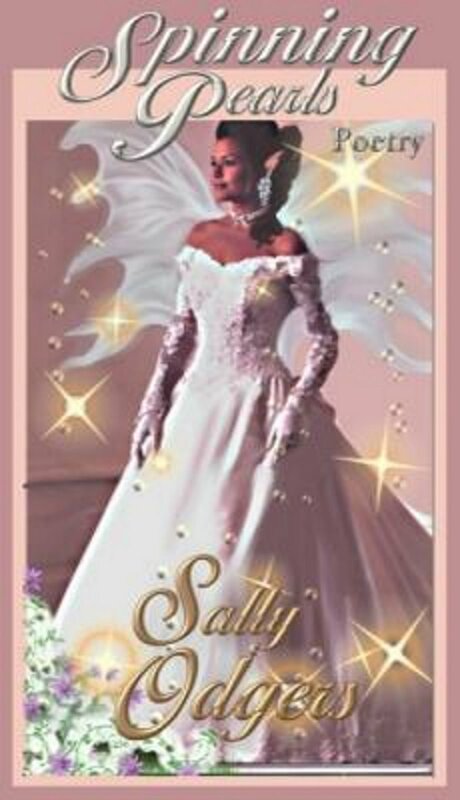 I've been tagged by Sally Murphy at Scribblings . 1. My internal clock is so weird that for years I was tagged "insomniac". I later realised that I wasn't, and never had been. I sleep perfectly well when I follow my clock. 2. I used to collect magic stones. I'd hold up pebbles to my ear, and if they spoke, I kept them. 3. I am a pack rat. Until my son came home on leave and tossed it out, I had a tin of curry powder dating from 1984. 4. I am not tee-total, but I have never been drunk. 5. I have spent fruitless hours trying to prove the existence of Grapefruit chocolate, Checkmate chocolate and Mini-melon icecreams. No one else seems to remember them. 6. I have off-kilter taste. If any book by a writer is universally admired more than his/her others, that is probably the only one I dislike. 7. I never quite fit my clothes. This is because I have one shoulder higher than the other, and uneven ribs. It took me many years to realise this. callmemadam , Satima Flavell , Kylie , Tarja , Tooticky , Jack Russell and Patrick . I'm delighted to welcome Jacqui Grantford, illustrator of "Squeezy Cuddle Dangly Legs" on this, Day 7 of her blog book tour. Here are some of the questions I really wanted answered! Me: Squeezy Cuddle Dangly Legs is an intriguing book title. When you are approached to illustrate, do you react more to the title, the concept or the writing style? To clarify, what "triggers" you? J: It's a combination. All of them need to work to make a great book. I guess I react in order of appearance which is normally - title, concept and then writing style - but to me the most important of all three is concept. The idea and message need to be worthwhile and relevant to kids. Me: Do you need to roll a concept around to get an "angle" before you can start,or do you read it through and start straight out? J: There's definitely a lot of rolling around. I like to sit with a text for a while before doing anything to get a feel for it (deadline willing). I then do very rough thumbnails and a lot of talking to my family. Their input is crucial and quite often a lot of the ideas I get are as much theirs as mine. It all gets reworked a lot before I'm happy with the end result. Me: Writers always hate it when illustrators nick off on holiday or are inconsiderate enough to get sick or move house halfway through a job. 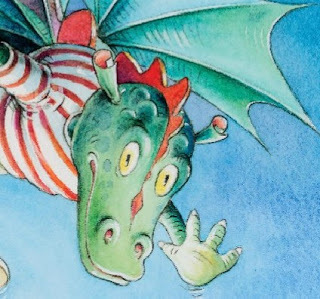 What do authors do that annoys illustrators? J: I think authors are Fabulous!!! (Especially the ones on this blog tour. )Illustrators don't often have contact with the authors, so they don't get much of an opportunity to be annoyed. I'm pretty sure, however, if authors were involved the illustration process it would be very frustrating as we would undoubtedly see things differently to their original imaginings. I'm always incredibly nervous before the author sees the illustrations for the first time. It's so important for me that they love the pics. Me: Being a writer yourself, do you ever get an itch to reword the things you illustrate? J: Oooh, good question. I have to say I do. I've hinted at it a couple of times with the publisher, but figure that it's the editor's job and that if I'm sensible I'll just but out. Usually anything I notice ends up getting changed through the natural editing process. Gotta love a good editor. Me: New Frontier, the publisher of "Squeezy Cuddle" produces visually-delightful books. How much of the design comes from you and other illustrators, and how much is decreed in-house? J: New Frontier are gives lots of creative freedom which is fantastic. They always let you come with the whole design and only step in if they think something isn't quite working. It's a good level of involvement. I heard Ann James saying that with one of her latest books she had an art director working with her in much the same way as an editor does with the author. This is done more commonly in the US. I think that's a great idea. Me: How does your illustrating style, which is positive, fluid and joyful, reflect your character? J: I guess I'm positive, fluid and joyful? I'm having to do a little soul searching to answer this one. I do like to find joy in things and I especially love showing a bond and connection between characters. I don't feel that my character is fluid. I sometimes focus too much on details. But maybe in our art we sometimes try to express what we haven't quite let out yet. It's always much safer to express it in creative pursuits before applying it to our lives. Thanks so much for inviting me to your blog, Sally. I've had an absolute hoot. 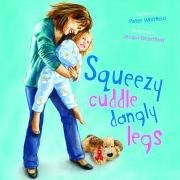 So, there you have it... Jacqui's view of illustrating "Squeezy Cuddle Dangly Legs" by Peter Whitfield, published by New Frontier. Of course, if you're an author, you're probably already hoping (like me) that one day you'll get the chance to work with Jacqui. Maybe you already have! To see where Jacqui has been, follow the trail! Day 1 - Sat 10 Nov -- Bren MacDibble's "Beast of Moogill" Day 2 - Sun 11 Nov - Sally Murphy's "Scribblings" Day 3 - Mon 12 Nov - Robyn Opie's "Writing Children's Books" Day 4 - Tue 13 Nov - Pemberthy Bear's "Pemberthy's Ponderings"Day 5 - Wed 14 Nov - Claire Saxby's "Let's Have Words" Day 6 - Thu 15 Nov - Tina Marie Clark's "What's Happening in my Office?" I'm sure jobs breed in the computer. I finished one rewrite today, and am about to start another. Meanwhile, I need to proofread a short story, run through a round of edits for a novel called "Freedom" (coming soon from Eternal Press), write a short commission work before Monday and finish a book called "The Quicksilver Files"... I also need to catch up on editing and assessments for other people. As I said... jobs breed. Philippa Freedom Darcy - the lucky one. The legal barriers are down… but can she mend the links and reunite her family. I love flowers, especially those growing in gardens, on hillsides, by the river, among old gravestones... you get the picture. This is probably an inheritance from my grandmother, Elsie Florence May, who was a great gardener. Whether it is in the blood or simply childhood conditioning, I don't know, but I love them. Quite a lot of my books have a floral motif. My w.i.p., Garlands of Thorn and May, has a hawthorn motif. Translations in Celadon, (HarperCollins 1998), had willow. A long short story, published under one of my pen-names, has roses. Replay has oak leaves. Two other books, to date unpublished, had roses and heath. Another w.i.p. has flax. Flowers turn up, time and time again, even in the illustrations. Since I've had a digital camera, I can take pot-shots at any flowers that please me, which helps when I'm writing out of season. Yesterday, I potted buttercups by the river, river rose, and hawthorn and guelder rose. 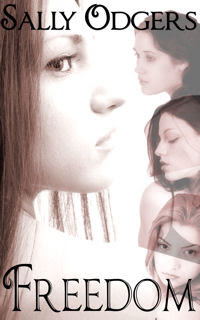 Of course, I usually have no influence on my book covers, but for Replay, I designed the cover myself. Flowers again! I have no particular talent in design, but I was quite pleased with the way this one turned out. For the record, the daisies are from a photo of our lawn, under the plum trees, the oak leaves are from the oak that hangs over our fence, the girl is our daughter, Tegan, and the schnauzer is a chance-met charmer named Zac. I encountered him with his human friend outside the post office once, and asked permission to capture his image for a book cover... I wonder if the owner believed me? Having no guaranteed acceptance of our works down the line is a huge advantage to us, as well as to EP and the readership. I can't tell you how strongly I feel about this. In the writing world, full time pro mid-listers run on a 70% acceptance of commissioned work, and maybe a 30% acceptance of spec work. Sometimes it's lower. These are people who live on their writing income. Does it mean that only their very best work is accepted? Not necessarily, but on the whole it means that, 90% of the time, their most sellable work is accepted. For every Harry Potter, rejected over and over and becoming a runaway success afterwards, there are countless titles rejected over and over, finally published... and sinking without trace. No one can predict the shooting stars, but most experienced editors can predict the sellers, the cut-and-come-again titles that will build an authorial rep and a happy readership. Sure, some gems slip through the cracks. I self-published two books very dear to my heart because my regular publishers (all of them) didn't see enough sales potential in them. My 30+ years in the business, with 20 of those spent making my entire living from writing, were not enough to outweigh their doubts and persuade them to take a risk. Some publishers are more likely to take risks. If so, I hope they will take a risk only on the beloved end of the scale, in that they may take the odd-ball gems. They will never, I hope and trust, take a risk on the mediocre or the sloppy. Yes, rejection hurts, but where is the thrill of success without the knowledge of failure? What is life without the flipside of death? To see my beloved titles, and buy them, should you be so inclined, go to Sally's Favourites and scroll down to REPLAY and PRIDE: BRIDGEOVER SUNDOWN. 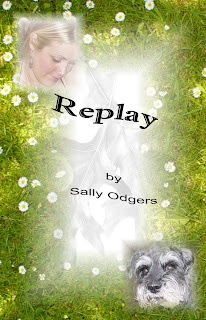 I'm Sally Odgers, Tasmanian author and manuscript assessor. I've been writing ever since I can remember... and I still love it. My attitude is a blend of practical and commercial concerns (since I write for a living) and impractical romanticism (since I am in love with the English language). In the posts that follow, you will probably spot numerous examples of this strange blend. Maybe I am a cross-genre w.i.p. So... spinning pearls... or, turning words into garments. If you write in as many genres and forms as I do, you develop all kinds of acquired styles to suit different clients. Now and then, when I write something to please myself, I remember what my natural style is like. It is allusive and elusive, spinning metaphors and weaving in threads of myth. These days I use it mostly in poetry, although it does get an airing now and again when I write fantasy. 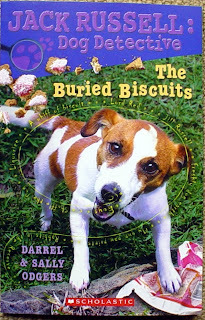 It's most recent public airing was in the publication, by Eternal Press, of my second book of poetry. "Spinning Pearls" follows "Fernseed for Fairysight".